Australians love public holidays. The idea of a lazy day off work, hanging out with friends at the beach, having a BBQ, and generally enjoying the outdoors, appeals to our national psyche. We had a public holiday last week. Australia Day, which occurs every 26 January, is our national day, and commemorates the date when the First Fleet of British ships landed in Port Jackson, Sydney in 1788. 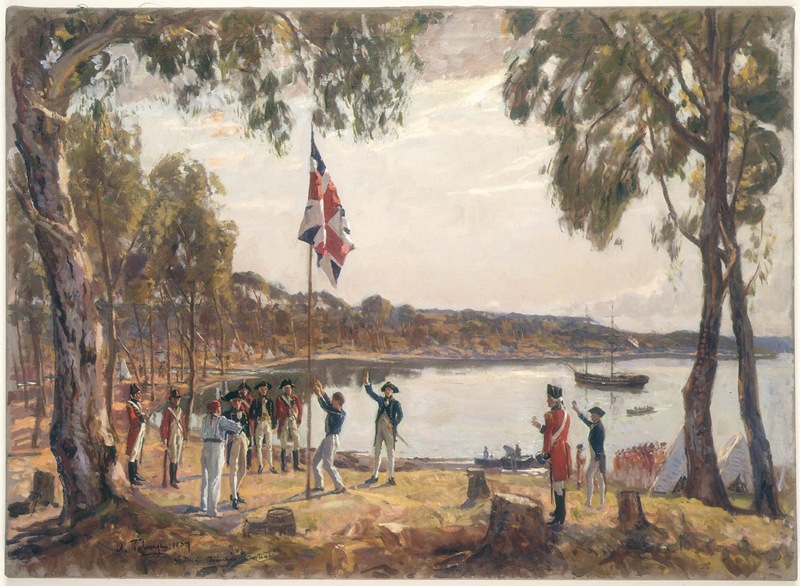 On this date, the 11 ships of the fleet, carrying between 1000 and 1500 convicts, soldiers, seamen, officers and free people, arrived on the ancient shores of what became known as New South Wales, where the first Governor Arthur Philip raised the British flag and declared British authority over the entire eastern seaboard of Australia. From the point of view of the new settlers, and for much of the 229 years since, this has been seen as a moment to celebrate, as the white people colonised and civilised the new land. For the indigenous peoples of the continent, however, it was a vastly different experience. The long history of displacement, disease and destruction of the indigenous people at the hands of the colonisers began very soon after the arrival of the First Fleet. 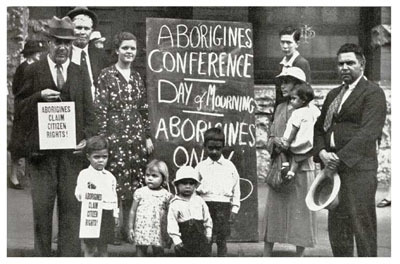 Since at least 1938, indigenous groups have advocated for a change of date, labelling 26 January ‘Invasion Day’ or ‘Survival Day’, to remember the loss of freedom, lands, cultures and languages that their peoples have experienced since 1788. For many Australians, Australia Day is a day of mixed feelings, marked by a desire both to celebrate who we are as a country, and to mourn many parts of our history. The first documented Day of Mourning on 26 January, 1938. See this article on alternative days to celebrate Australia Day. Being our national day, there are a number of formal elements to Australia Day. Many people take part in citizenship ceremonies around the country on January 26. The Australian of the Year awards and the Australian Honours Lists are announced. Less officially, it is also marked by a new lamb ad, which tends to be controversial and often entertaining; in 2017, the ad celebrated our long history of multiculturalism. Because Australia Day happens during the long summer break, RMC is usually pretty quiet. But those of us who are here use it as a reminder to reflect on who we are as a nation, to celebrate our multicultural community, and to think about how we can remember the indigenous peoples on whose land our college is built: the Dharug nation. And to eat pavlova.